You will never lose anything again with these fabulous, personalised, labels from Petit Fernand. We were sent a booklet of iron on labels for Noah and Isla for their school uniform. We were also sent stick on labels for their drinks bottles and other useful school items. I kept finding things to stick the labels on, I got a bit carried away. I sat down with the children and went to the Petit Fernand website. We looked at the label designs together and the children chose the background and character that they wanted on their labels. I thought this was a really great touch as the children had ownership of their labels. They were really excited to see what their labels looked like when they came through the post. I love the booklet that the labels came in. They were all neatly set out. Iron on section first, then stick on. A sheet of Noah and then a sheet of Isla. They helped to stick on their first stickers too. They were very excited about taking their drinks bottles to Summer camp. The iron on labels are really easy to attach to clothes, you simply use greaseproof paper to cover the label and iron for 12 seconds. You need to press firmly for the 12 seconds too. Then lift the greaseproof paper slowly to make sure you do not accidentally pick the label off the clothes. Their labels look really smart in the school uniforms and jackets. Much better than plain labels! Not only do they do labels, but Petit Fernand create personalised products too, I love their drinks bottles and lunch boxes. A really great idea for those who have little ones that lose their lunch boxes frequently. 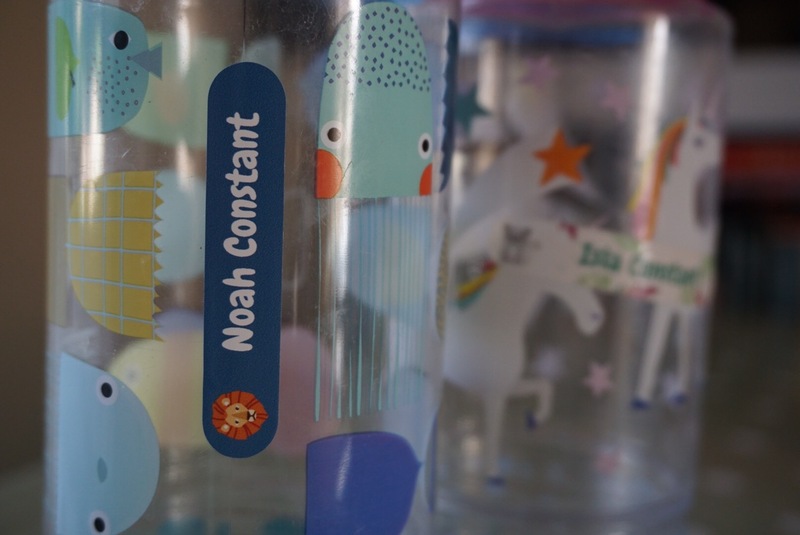 When Noah goes into Year 3, he will be having school lunches (he has already booked it in) and so I will be making sure to stock up on personalised products for him. They both lose things easily. It was great over the Summer holidays, having labelled drinks bottles. They came home every night. Perfect! You can get your own, customised, labels made in time for the Back to School rush on the Petit Fernand website: www.petit-fernand.co.uk. What do you actually have to do as a chief bridesmaid?